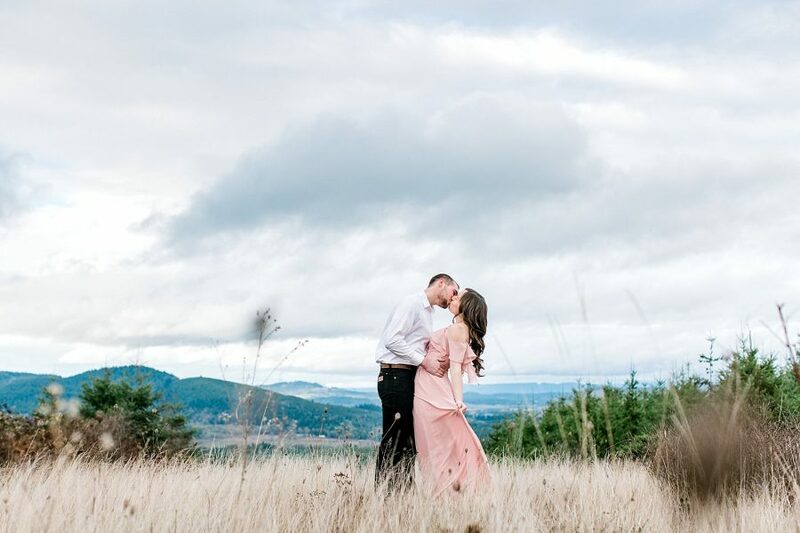 Black storm clouds rolled in and baby raindrops fell on our heads as Will dipped Abigail back for a kiss. 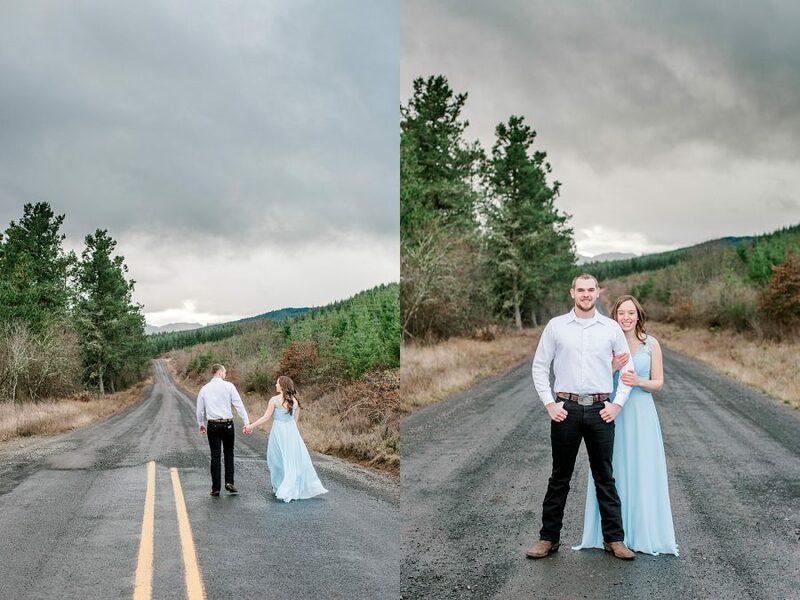 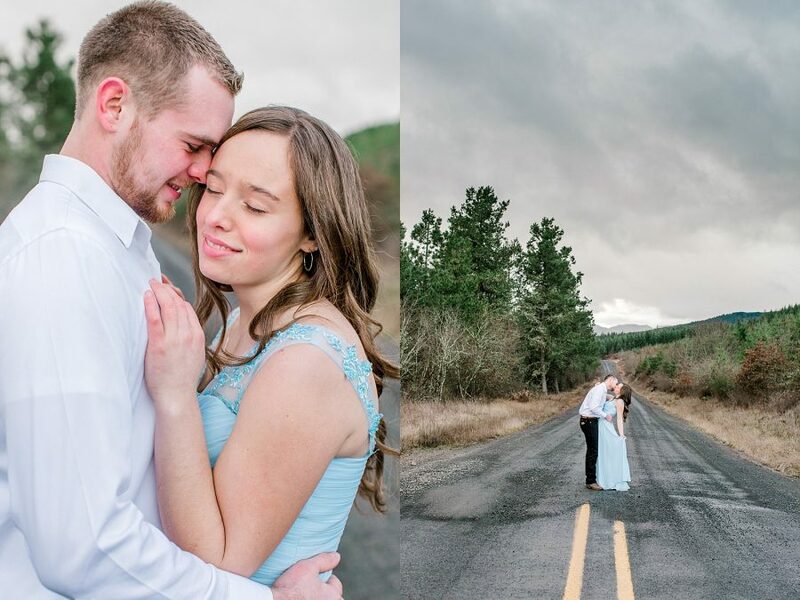 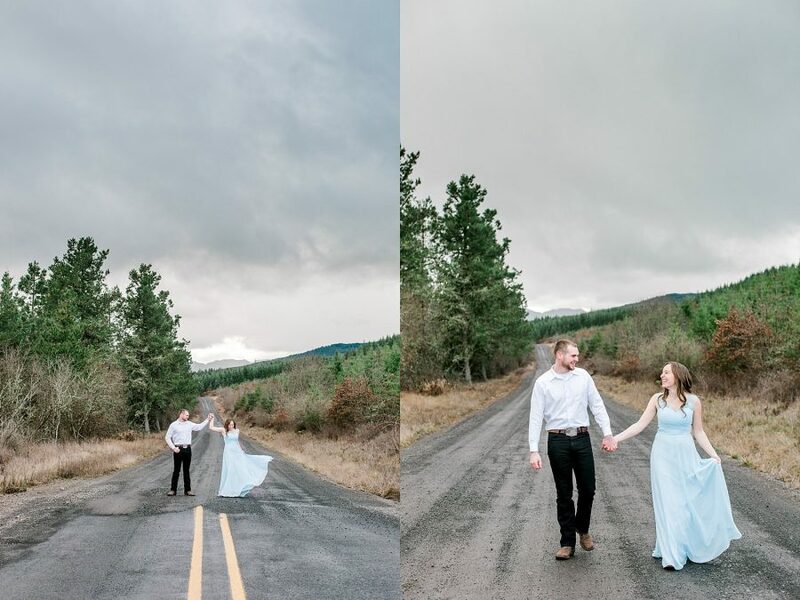 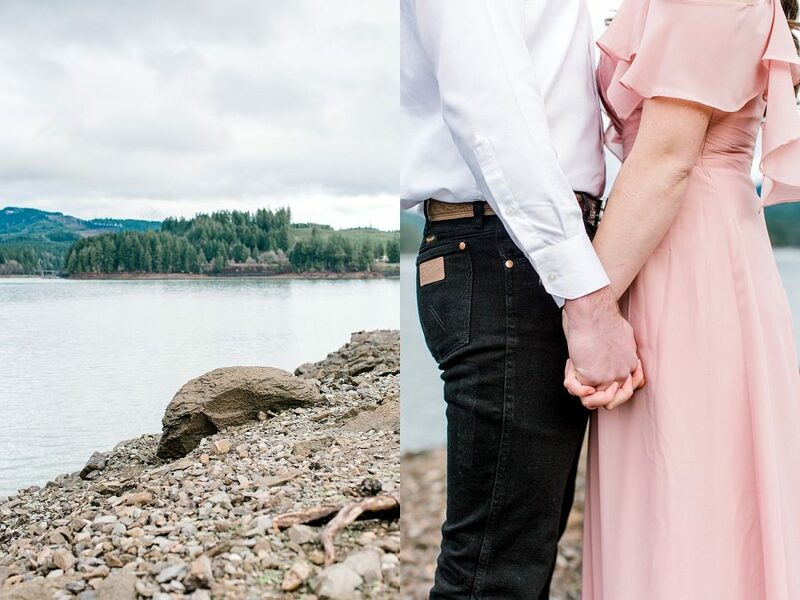 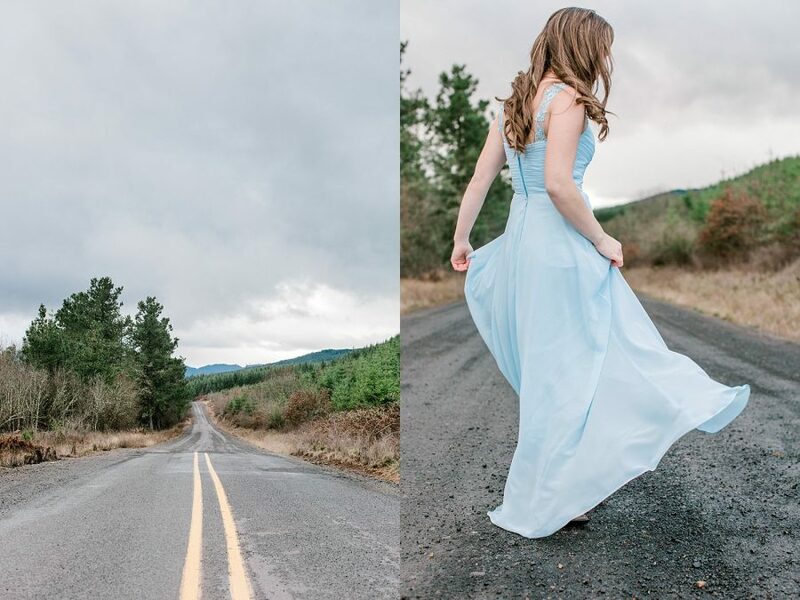 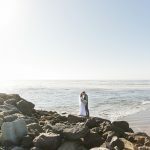 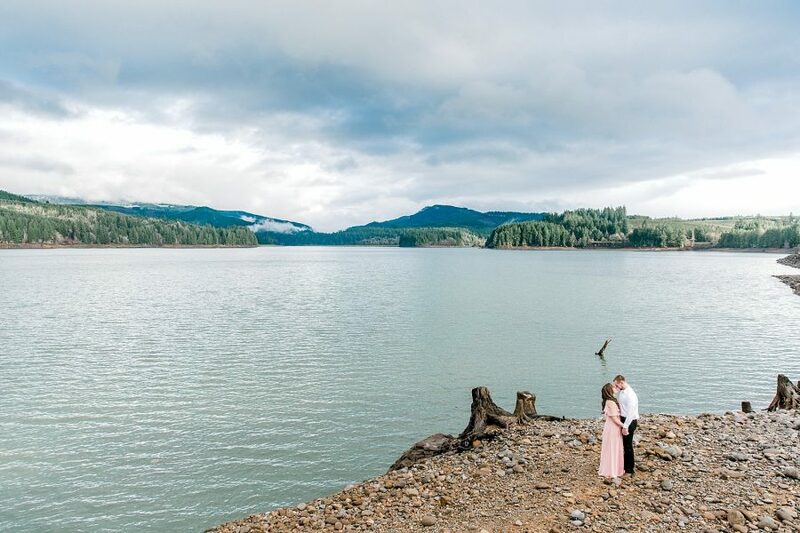 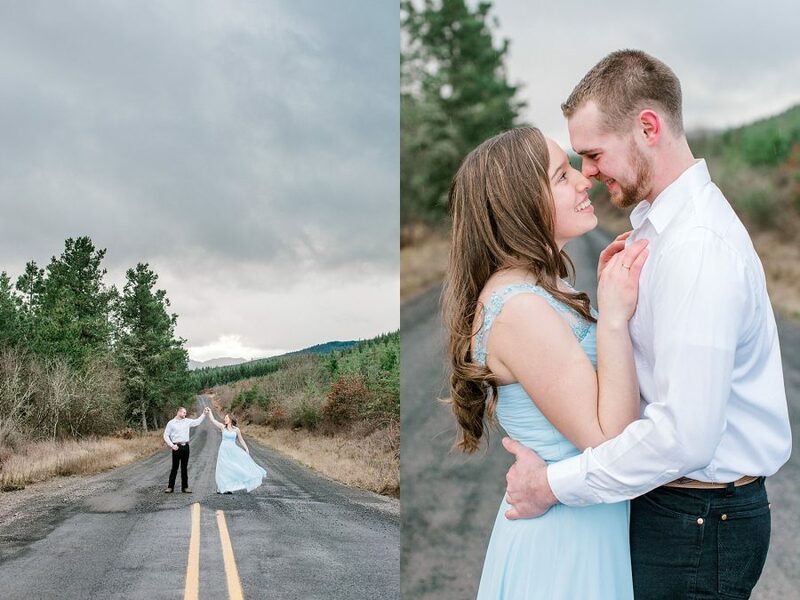 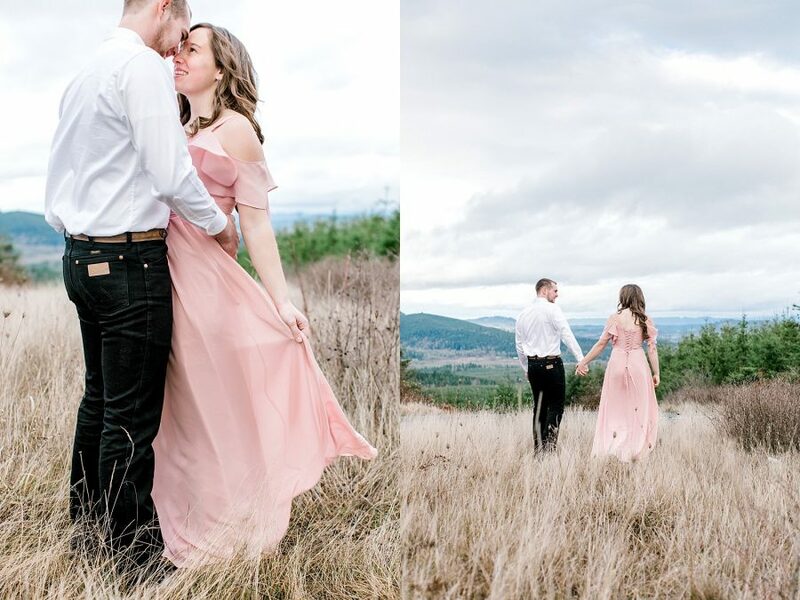 The wind caught the skirt of Abigail’s dress and her bouncy curls, whisking them around and making the couple look like something straight out of a movie. 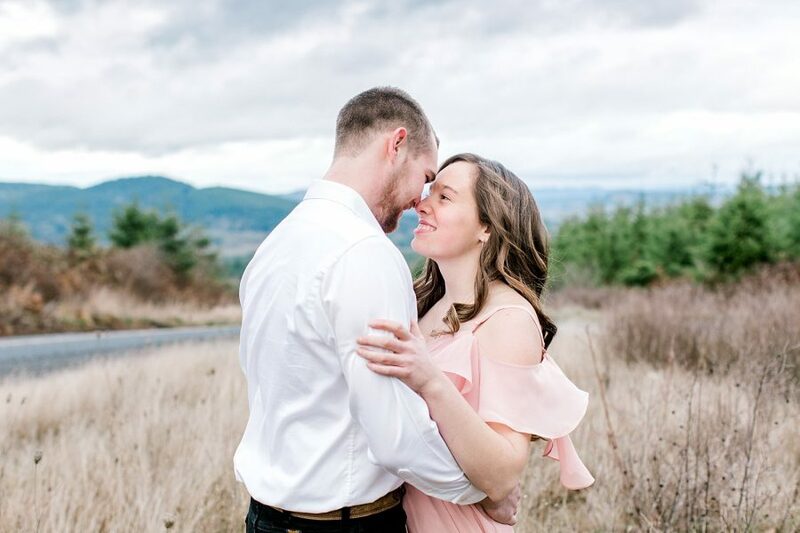 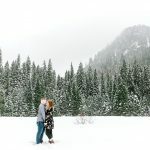 These two fell for each other just about the first time they laid eyes on each other, and after Abigail took a little (self proclaimed) detour, they finally started dating last summer. 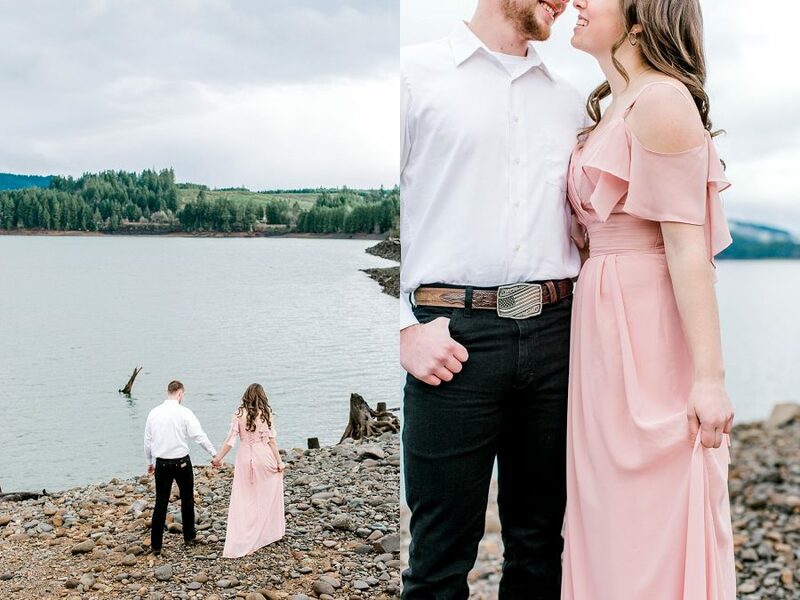 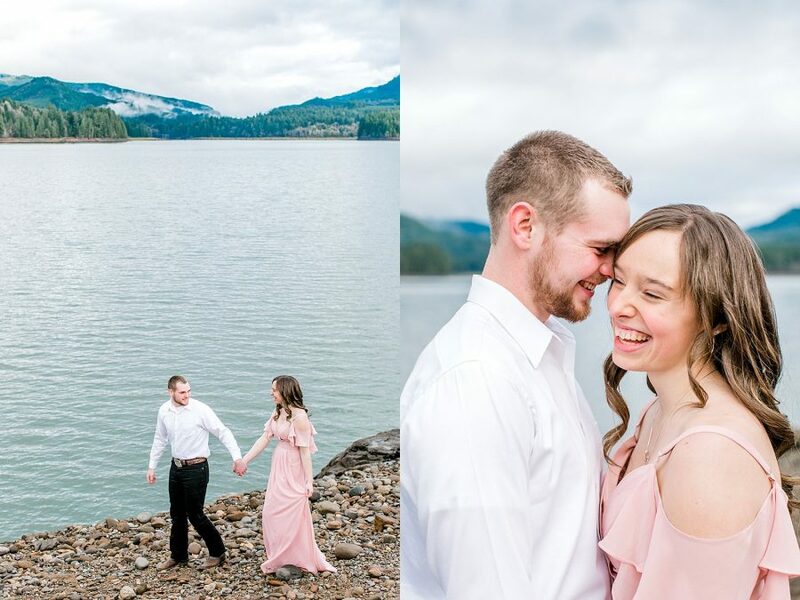 I loved watching the way that they interacted with each other…firm hand holds as they walked over rocks, and sweet smiles meant only for each other. 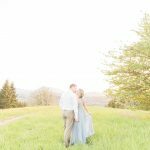 If I’ve said it once I’ve said it a thousand times. 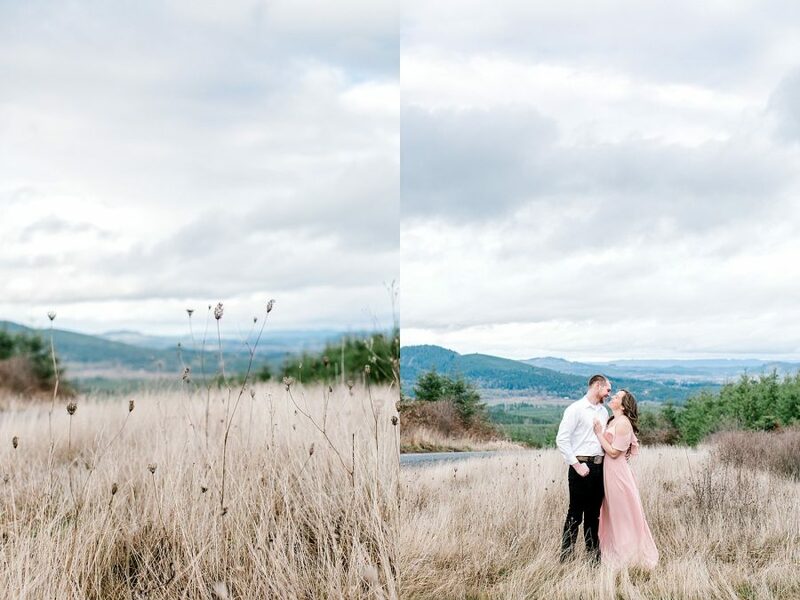 These are the kinds of sessions that make my heart come alive. 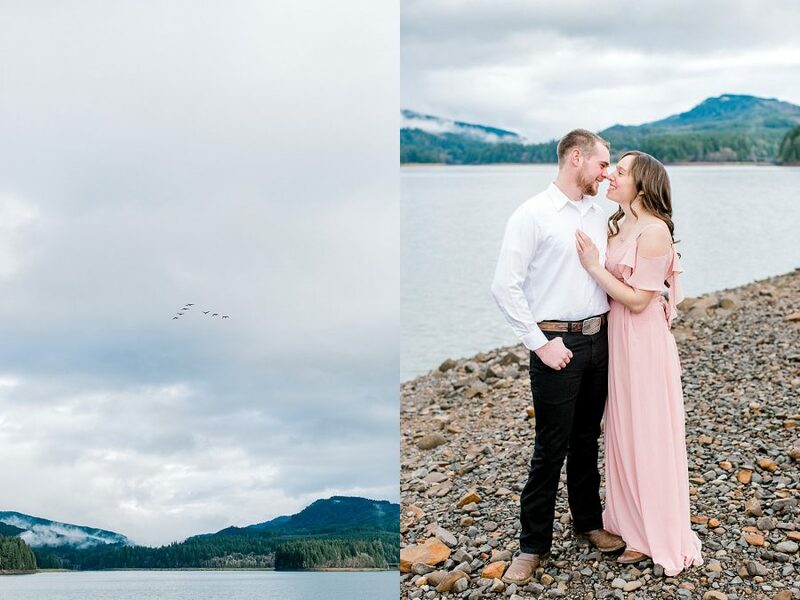 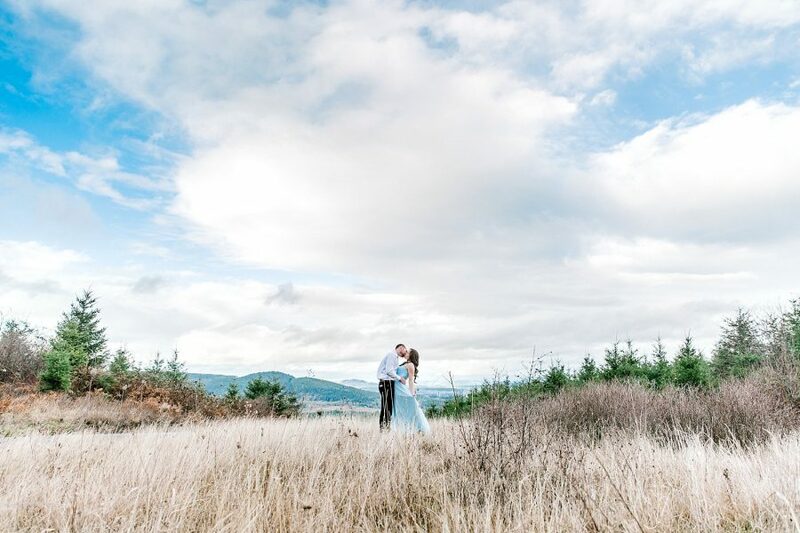 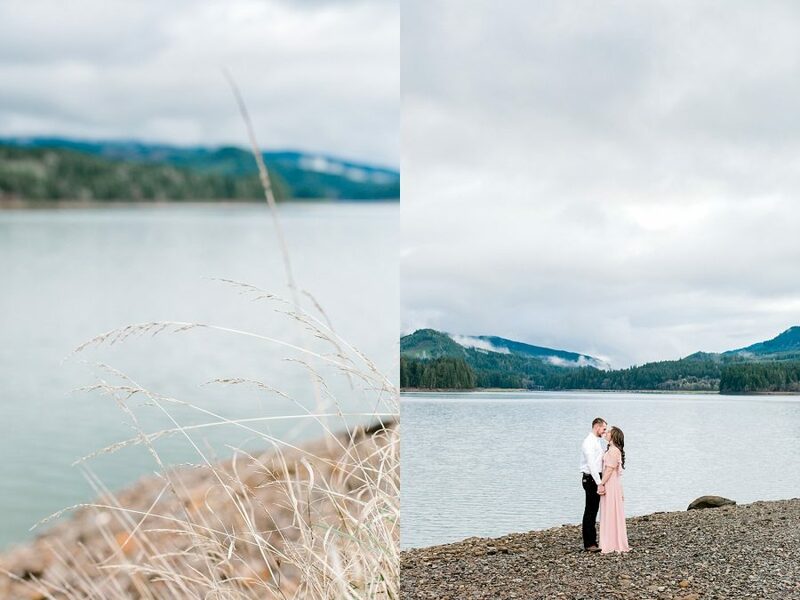 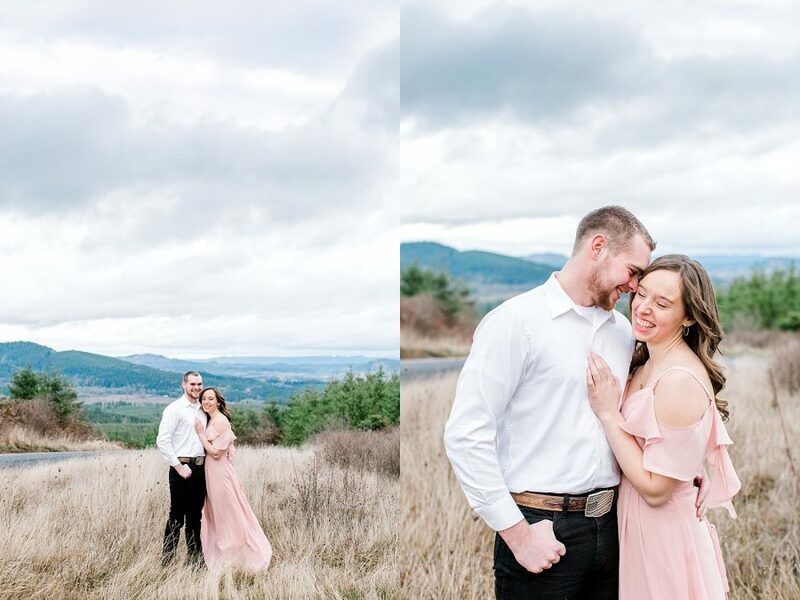 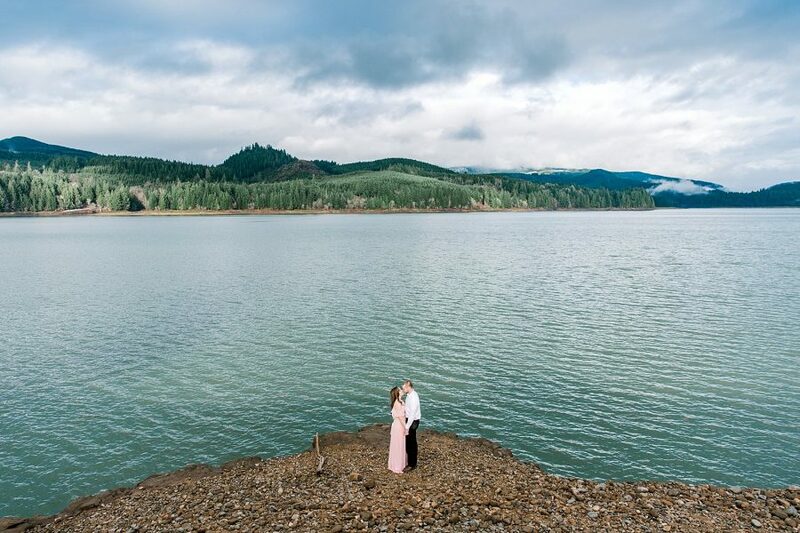 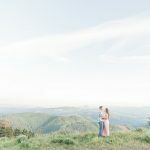 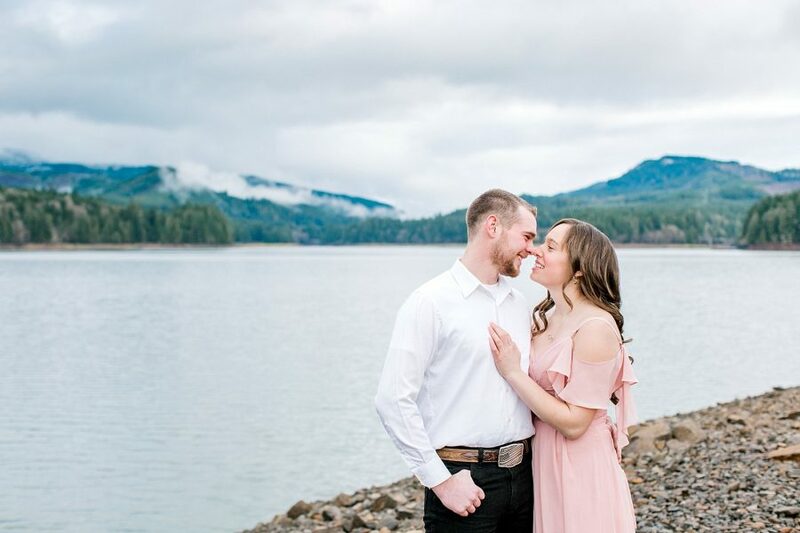 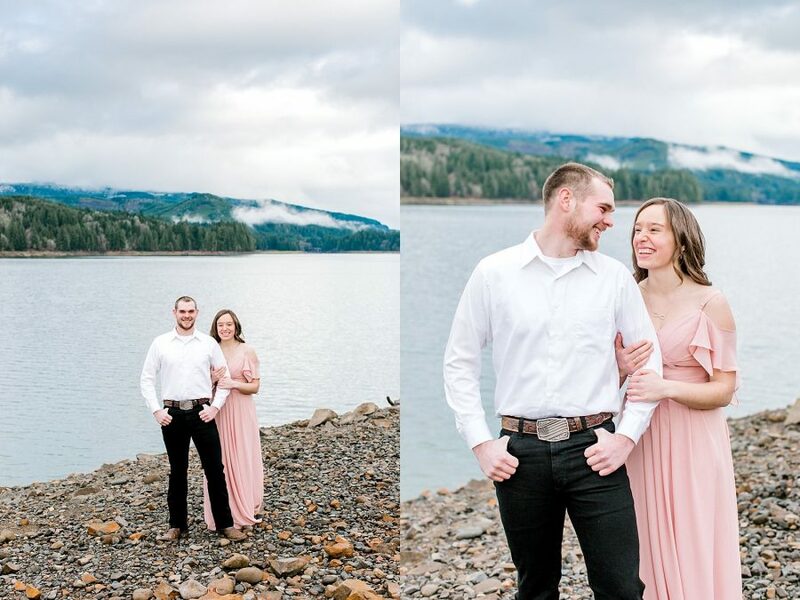 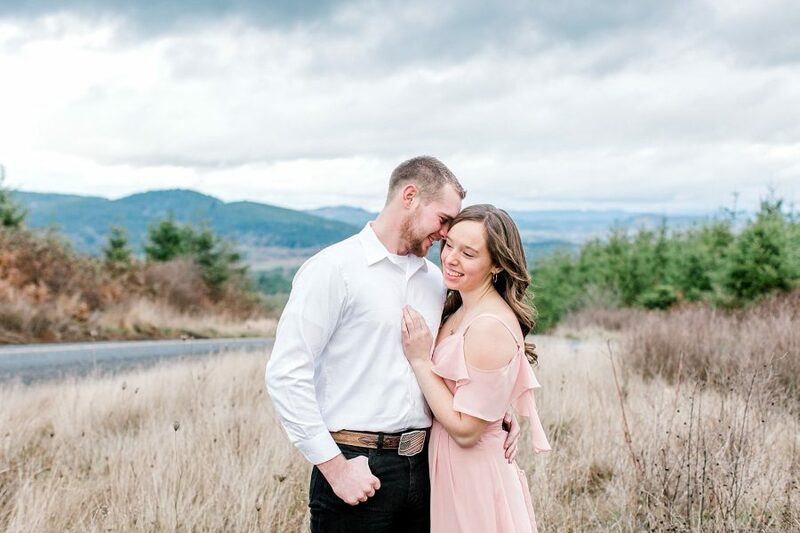 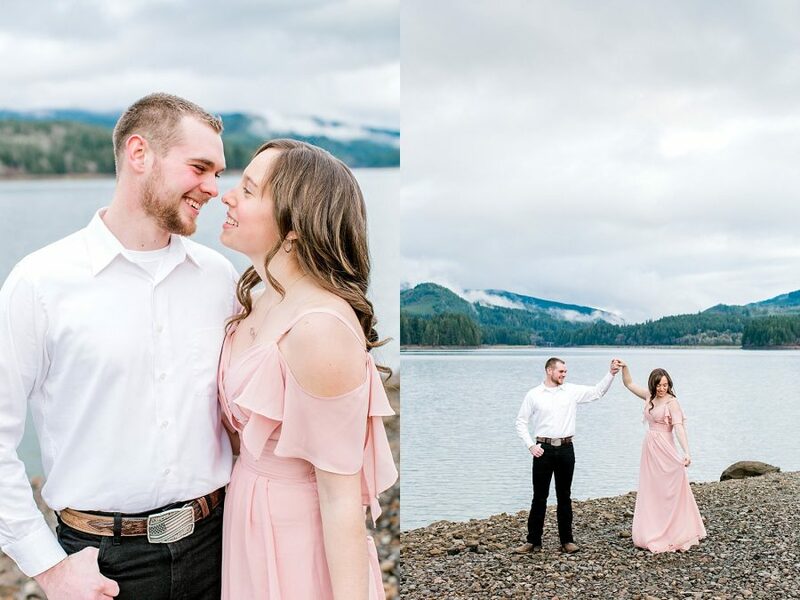 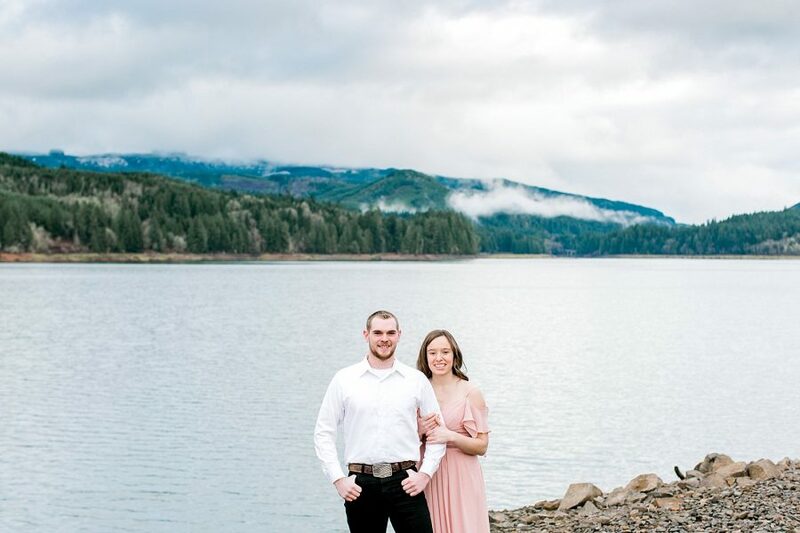 Windy mountain top views and rocky beaches with blue hills in the background are some of my favorite things in this world, but you throw in a couple who is down for anything and BAM! 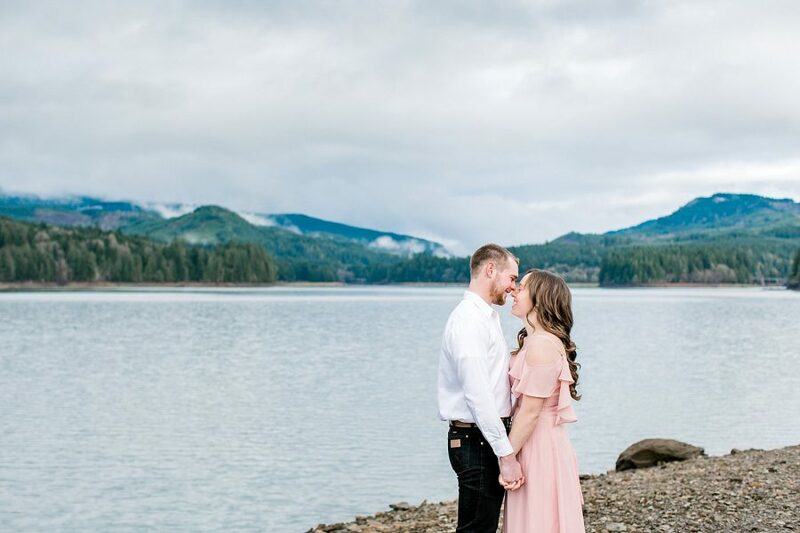 you have magic. 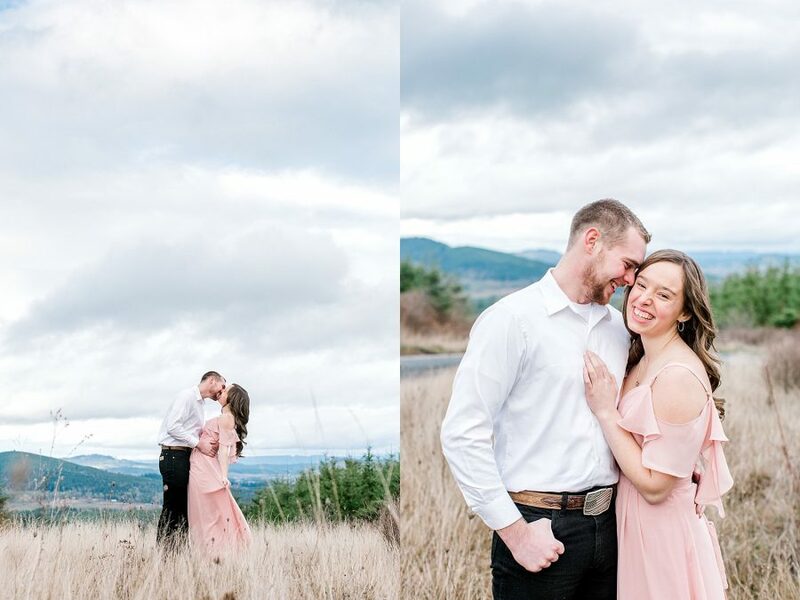 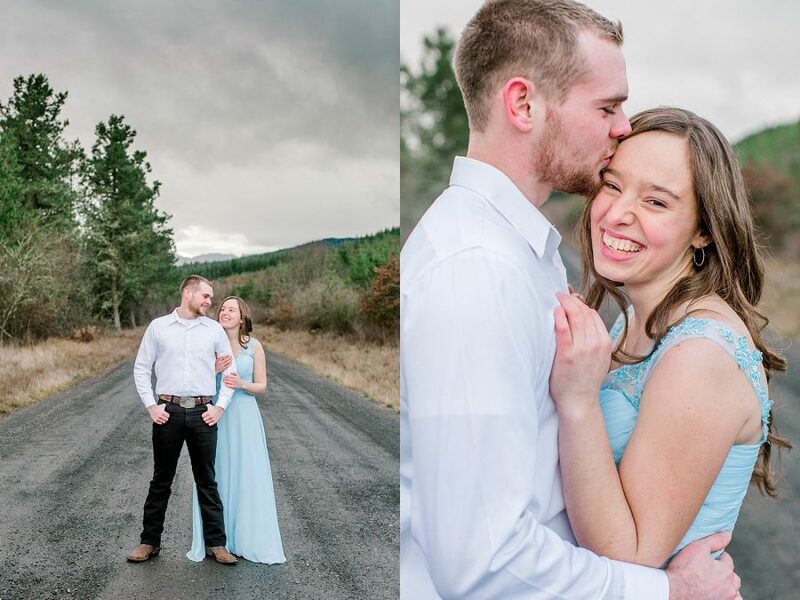 Will + Abigail, thanks for being so awesome and willing to do anything! 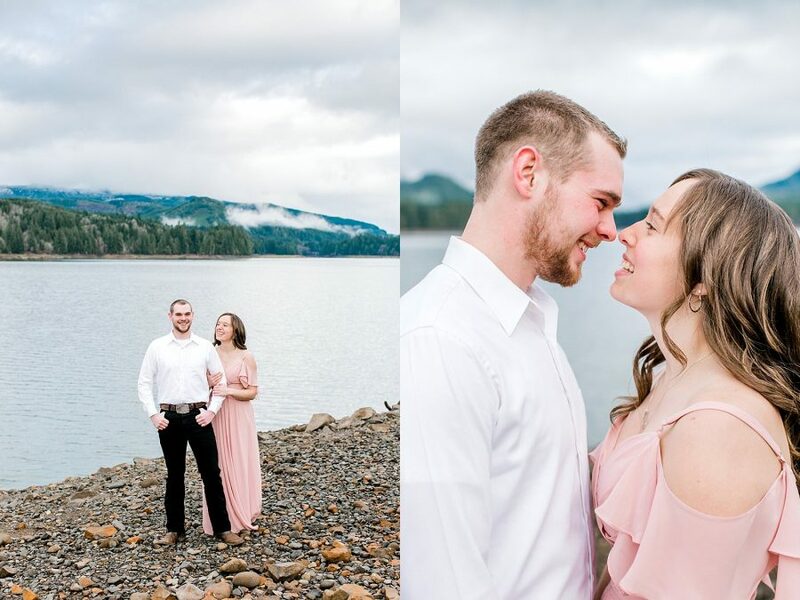 I thoroughly enjoyed our time together, and cannot wait to get you guys in front of my camera again!